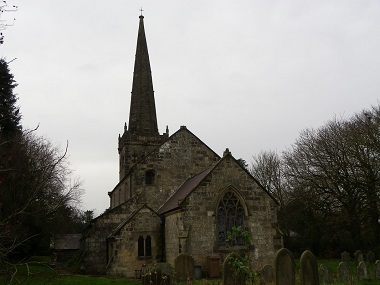 St Mary's Church Huggate is a Grade 1 listed building much loved by the residents and visitors alike. The church is open every day during daylight hours and is frequently used by villagers, visitors, cyclists and walkers as an oasis of calm, away from the frenetic life that many people lead. The Pancake Supper is a fun evening before the start of reflections during Lent. Our annual Summer Fair is popular with Hymns and Pimms in church to start, then a traditional village fair, followed in the evening by a barbeque. We maintain the tradition of carol singing every year and are sustained by welcome food and drinks on our rounds. " The highlight of Christmas is our Christingle service followed by mulled wine and mince pies in church. Our large churchyard is maintained by the villagers ensuring that it is a refuge for wildlife and a peaceful, sacred place for people to remember their loved ones. As a traditional Wolds village community Harvest plays an important role and the church is always beautifully decorated by the villagers with services and refreshments to celebrate the wonderful area in which we live.